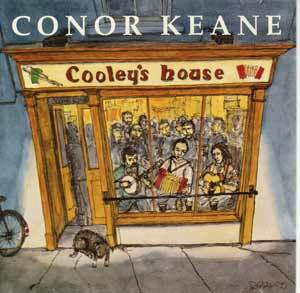 Clareman Conor Keane is perhaps best known as accordionist with the highly successful band Four Men and a Dog. He also played with Arcady for a time with a line-up which included singer Frances Black. Touring with both bands he has travelled from Finland to the Middle East and North America. Most of the material on this album consists of the traditional dance music of his native Clare and the west of Ireland. It is performed here by Conor in his typically rhythmic style, which is earthy colourful and exciting. Recorded at Harmony Row Studios, Ennis, Co. Clare.